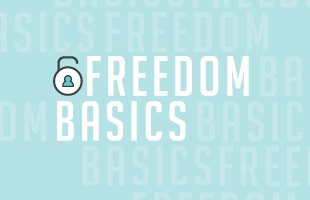 Freedom Basics classes serve as the entry point for freedom ministry at Christ Church. These five classes contain the essential principles of freedom and lay the groundwork for you discover who God made you to be. Likewise, through these classes, you will be empowered to live in the way God designed you to live. Freedom Basics are the launch pad of your journey into true freedom!